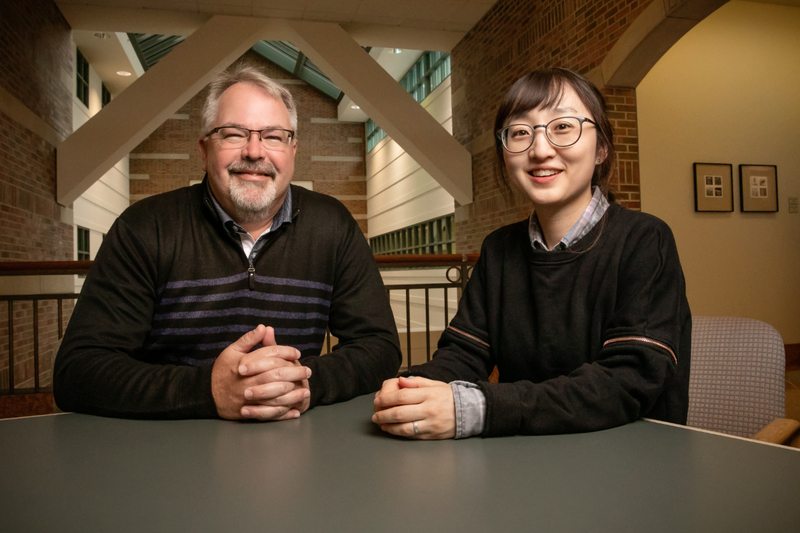 Presenting vocabulary words to students with gestures, even motions that don’t convey the meanings of the words, can improve students’ comprehension of new words in a foreign language, according to a new study co-written by University of Illinois educational psychology professor Kiel Christianson and graduate student Nayoung Kim. CHAMPAIGN, Ill. — Students’ comprehension of words in a foreign language improves if teachers pair each word with a gesture – even if the gesture is arbitrary and does not represent a word’s actual meaning, researchers at the University of Illinois found. The aim of the study was to compare participants’ comprehension of vocabulary words in Mandarin when they were taught new words paired with iconic or arbitrary gestures and without gestures. When the vocabulary words were presented with iconic or random gestures, students’ ability to recall the words’ meanings was 8-10 percent better than with words that were presented without gestures, the researchers found. When new words were paired with the arbitrary gestures that were not representational of a word’s meaning, students may have generated idiosyncratic ad hoc iconic associations between the gestures and the words in their memory, the researchers said. “Visualizing a gesture with each word creates multiple pathways into the semantics of new words and helps students remember them better,” Christianson said. U. of I. alumna Xiaoyi “Kellie” Huang was the lead author of the study, which was the capstone project for her degree in the College of Education’s Applied Learning Science program. Graduate student Nayoung Kim also was a co-author of the paper, which was published recently in the journal Language Learning.